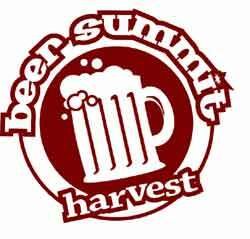 The Beer Summit – Harvest Fest takes place on November 16 & 17th. It’s a celebration of the best Autumn beers in the world, from over 60 different breweries, right here in Boston. There will be three sessions for this event, the Friday Night, and two on Saturday. Currently 66 brewers are signed up to attend and tickets are on sale. 11/16 Friday Night 5:30 – 9pm. 11/17 Saturday Afternoon 12:30 – 4pm. 11/17 Saturday Night 5:30 – 9pm. What is it? The Harvest Fest is a craft beer tasting, with over 60 brewers and 200+ beers to sample. It has been happening in Boston since 2009, and gets bigger and better every year. This event will have many of the best local, regional, national and international brewers in the world represented- bringing both their known and less common Autumn brews. This event sells out, so make sure to get your tickets in advance. Where is the Harvest Fest? This event is being held at the Park Plaza Castle in Boston, MA.